What keeps a lot of aviation professionals awake at night is the question of fuel economy. How can we continue to meet growing demand for air travel whilst reducing emissions? Several groups are on the cusp of finding solutions that could soon transform how we fly. 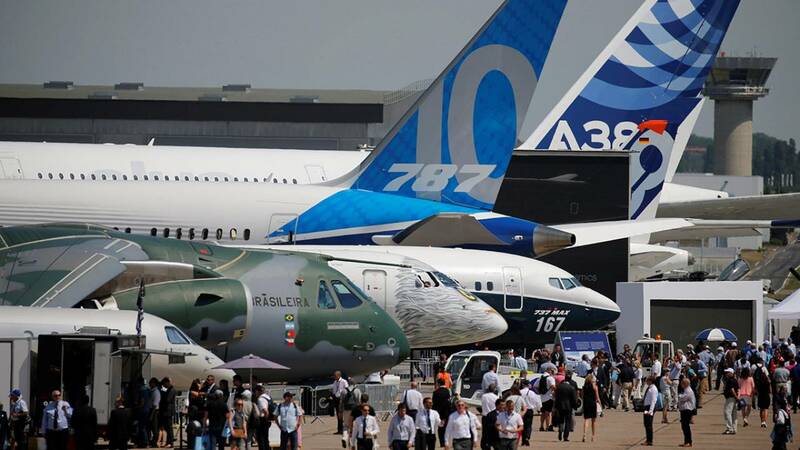 We caught up with a selection of them during day two of the 52nd International Paris Airshow to find out more. DLR have visualised the potential gains for the environment if airlines were to prioritise emissions over flight times in transatlantic flight paths. Their data shows that well-planned and modest adjustments could pay back dividends for the planet. DLR also teamed up with NASA and the Canadian Space Agency to find out to what degree mixing biofuel with conventional fuel can reduce greenhouse gas emissions. They discovered that 50% biofuel and jet fuel mix reduced emissions by 30 to 60%. Hans Schlager explained that in principle the amount of biofuel could be increased if it weren’t for (arguably) out-dated laws that prohibit this. Next, we caught up with Cedric Goubet, Director of the civil motors division at the French multinational aircraft and rocket engine manufacturer– Safran. Mr Goubet gave us a tour of the new generation LEAP turbofan, the successor to the world’s best selling turbofan by Safran and General Electric, the CFM56. The LEAP promises some impressive upgrades when it comes to carbon footprints: 15% lower carbon emissions and fuel consumption than its predecessor; up to 50% reduction in NOx (Nitorgen Oxide) and more thrust. Safran say they have managed to increase the fan-diameter and improve efficiency without paying too much in weight penalties. Considering they have had over 12,230 orders and commitments from customers, the new generation LEAP might just outdo its older sibling and help reduce emissions at the same time. What innovations like these show is that when it comes to sustainable air travel, where there’s a will, there’s a way.